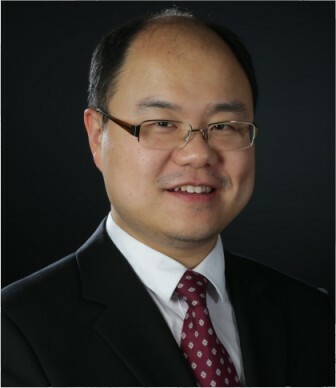 Dr. Ye Chen is an ophthalmic surgeon with sub-speciality interest in eyelid, lacrimal and orbital surgery (oculoplastics). He has special interests in endoscopic lacrimal surgery, thyroid eye disease and eyelid tumours. He also performs cataract surgery. Ye graduated from Melbourne University and interned at St. Vincent's Hospital Melbourne. With a Rhodes Scholarship, he undertook further studies in the UK, obtaining a DPhil in Medical Science at Oxford University, England. Following his ophthalmology training at the Royal Victorian Eye and Ear Hospital, Ye undertook his sub-specialty training in Adelaide, Japan and Korea, obtaining considerable experience in the treatment of eyelid disorders (including 'droopy' eyelids, eyelid malpositions, brow ptosis, eyelid tumours), orbital disorders (including thyroid eye disease, orbital tumour, socket disorders) and lacrimal disorders ('watery eyes', blocked tear duct). He has special interest in endoscopic DCR surgery, orbital conditions including thyroid eye disease, and Asian eyelid surgery. Ye also holds public appointment at the Royal Victorian Eye and Ear Hospital. Ye speaks fluent English, Mandarin (普通话), and Shanghainese (上海话). All rights reserved. Website created by Berwick Eye Centre and launched on January 1 2018. Copyright 2019.Berwick Eye Centre Pty Ltd. All Rights Reserved.